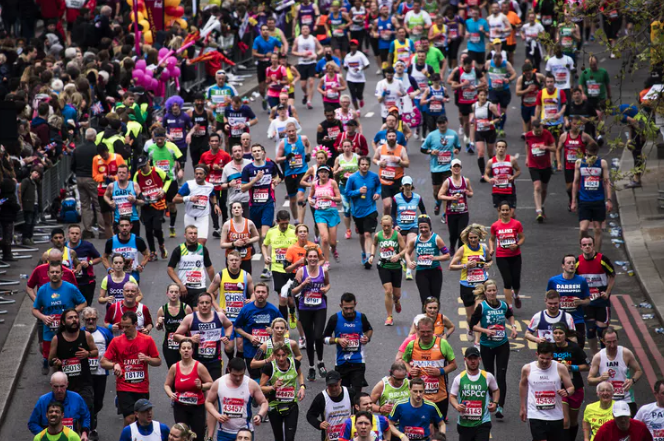 Sciblogs | Does running a marathon increase your risk of infections? It is commonly believed that some forms of exercise, such as endurance events, suppress your immune system and leave you at risk of infections, like the common cold. However, our latest review of the evidence suggests that this is probably not true. In fact, exercise seems to boost the immune system. The idea that endurance exercise suppresses the immune system stems from research in the 1980s and 1990s. In these studies, competitors of endurance running events, such as the Los Angeles Marathon, were asked if they had symptoms of infections in the days and weeks after the race. Many did, leading to the idea that endurance exercise increases infection risk. An overlooked problem in many of these studies was that symptoms of “infections” were not confirmed in a lab, so it wasn’t known if they were genuine illness symptoms. More recent studies have shown that most symptoms reported after marathons are not real infections. Instead, the symptoms are caused by other factors, such as allergy. These earlier studies put the cause of the increased risk of “infection” down to a suppressed immune system. Indeed, exercise does have a profound effect on immunity, but we now know that these changes have been misinterpreted. Exercise causes immune cells to change in two ways. Initially, during exercise, the number of immune cells in the bloodstream increases dramatically. Some cells, like natural killer cells, which deal with infections, increase tenfold. Then, when exercise finishes, some immune cells in the bloodstream decrease in number substantially, sometimes falling to lower levels than before exercise started for several hours. Many scientists interpreted this fall in immune cells after exercise to be immune suppression. But we now know that fewer immune cells in the bloodstream for several hours after exercise does not mean that these cells have been lost or destroyed. Instead, they move to sites in the body that are likely to become infected. One example is the lungs, because faster and deeper breathing during exercise increases the chance of inhaling something infectious. So a low number of immune cells in the bloodstream in the hours after exercise is not immune suppression. Instead, immune cells, primed by exercise, are looking for infections in other parts of the body. Another reason scientists thought that immunity was compromised after exercise was because some studies reported lower levels of antibacterial and antiviral proteins in saliva after marathons. These proteins, such as immunoglobulin-A (IgA), are the first line of defence against bacteria and viruses entering the body through the mouth and nose. However, many studies at the time did not consider technical problems with the measurement of IgA. For example, IgA levels change in saliva whether you have exercised or not, due to psychological stress, diet, oral health and even a “dry mouth”. But most studies did not consider these factors. Nowadays, most scientists investigate the benefits of exercise on immunity. For example, studies in humans have shown that exercising a few minutes before a flu jab or other vaccination, improves how well the vaccine works. Other studies with laboratory animals have shown that exercise can help the immune system detect and kill cancer cells. And, as recent research shows, regular exercise can even slow ageing. Although a strenuous exercise bout itself will not increase the likelihood of catching an infection, other factors might. First, attending any event where there is a large gathering of people, increases your chance of infection. Second, public transport, particularly airline travel over long distances, where sleep is disrupted, may also increase your infection risk. Other factors, like eating an inadequate diet, getting cold and wet, and psychological stress, have all been linked to a greater chance of developing infections. To minimise your risk of becoming unwell during or following a mass sporting event, like a marathon, it is important to maintain good hygiene. Wash your hands or use antibacterial and antiviral hand gel, avoid touching your mouth, eyes and nose, don’t share water bottles and minimise contact with people who may have an infection.